Recorded and mixed Aug. 16 - 22, 1999 AD at Luna Studios, Prescott, Arizona. 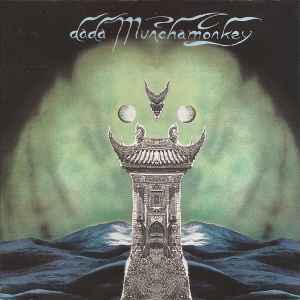 Tracks #4 and #9 recorded at a sunken facility in 1904 by Dada Munchamonkey. This has to be some of the most psychedelic electronic music I have ever heard. It verges on what you might call ambient, especially towards the end of the CD. It gets progressively "mellower". 'But how mellow? ', you might ask. Well, let me tell you; about as mellow as Pete Namlook on twelve microdots mellow with maybe some DMT thrown in for good measure. Sooooo trippy. Believe me. And the Namlook parallel is actually not too bad because like Mr Namlook, Mr Muncha also uses hordes of analogue equipment to create his sounds. And similarly to some of Namlook's longer solo ambient projects (the Seasons, for example), it's quite clear that much of this album has been recorded 'live'. By which I mean it is a recorded experiment in sound manipulation. Incredibly hypnotic. It's also quite possible that Ruscha simply got carried away (and hence the length of the last track). But aside from the sheer trippiness, some of the stuff is hilarious because it's so out there and takes the piss out itself. 'Space Cat', for example, has a wonderfully soothing voice singing "Twitching whiskers on the space cat, tell me that I'm crystallizing...voices on the moon are falling out of tune...blah blah blah.....satellites are floating by etc etc etc". 'Outside Time', on the other hand, is an downtempo electro classic that really should have been released on vinyl. It would be amazing DJ material.